Pamela Joye is an Orange County, CA native and still lives in Orange County. She holds a Bachelor's degree in Human Services and a Master's degree in Counseling from California State University, Fullerton, and works in education. However, what she really enjoys doing is writing books in an effort to connect with others. 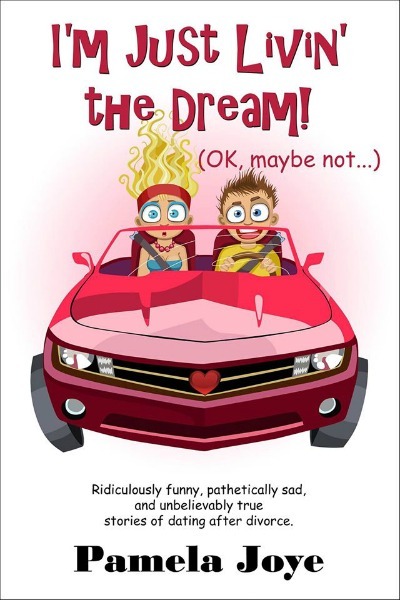 Her first book, "I'm Just Livin' the Dream (Ok, maybe not...)," provides her readers a glimpse into her dating and relationship experiences since her divorce in 2006. Climb into the backseat and join Pam on a wild ride full of twists and turns, as she re-enters the world of dating. You'll experience what it's like to search for a decent man among the menagerie of available single men. Whether it's stories of single dates or relationships, you'll find yourself laughing and crying along with her, as she discovers what post divorce dating is really like. Written in an hysterically funny and candid style, Pam let's you in on all her private thoughts and feelings.